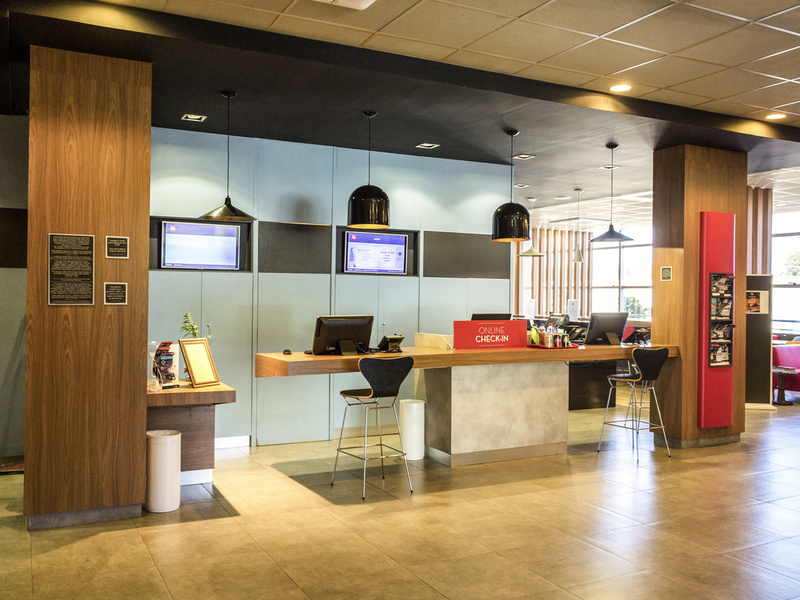 The ibis Catanduva hotel, with 119 apartments, 7 of which are adapted for people with reduced mobility, enjoys an excellent location next to Rodovia Washington Luis and is 34.1 miles (55 km) from Prof. Eribelto Manoel Reino Airport in São José do Rio Pret o. Ibis offers comfort and practicality, with WIFI Internet, free parking and a 24-hour bar service for business, relaxation or leisure. We also serve a delicious breakfast with a wide range of options. Apartments are 100% non-smoking. Our bar provides a friendly setting to meet and relax at any time of day. Nice hotel but the rooms are too small and the shower are very tight to move around in. Check in was a disaster, I have a feeling there was not a room for use even though it was book well in advance. Easy to use. Near to the main road. Clean. Friendly. Staff extremamente gentil como sempre. Hotel limpo, organizado. Senhora Aidecarla, O ibis Catanduva agradece os seus comentários no seguimento da sua estada no ibis Catanduva e agradecemos as observações. Não deixaremos de partilhar os seus comentários com toda a equipe . A sua satisfação é a melhor recompensa para os nossos colaboradores que trabalham diariamente para lhe prestar um serviço extrema qualidade! Na expectativa de acolher novamente, queira aceitar os nossos melhores cumprimentos. Stay was fine. Room was comfortable and breakfast was tasty. I had to buy an electric adapter from the front desk as Brazil has an unique system of electric plugs. I think those adapters should be available free of charge to guests either by being placed in the room or from the front desk. Ibis was as expected. The breakfast very good. We should have &quot;hand towels&quot;. The refrigerator was &quot;loose&quot;. The only thing was that there was no water or drinks in the room. Good hotel with impeccable cleaning. short but with nice attendee. reception, breakfast and cleaning room. I suggest you consider an evaluation of the quality of towel cleanliness. I understand they can be softer. Other item: I am lactose intolerante and this kind of healthy problem is becoming more common nowadays. I suggest to the hotel verify some option for the customer in this need, for the breakfast. Thank you.